Ace Hoffman's Nuclear Failures Reports: Media Alert: What caused the destruction of San Onofres new replacement steam generators? Media Alert: What caused the destruction of San Onofres new replacement steam generators? What caused the destruction of San Onofre’s new replacement steam generators? The DAB Safety Team has transmitted the following request to the Offices of Chairman of the NRC, California Attorney General and Senator Barbara Boxer’s Committee on Environment and Public Works (EPW). B. SONGS OSGs Extensive Wear Probable Root Cause: SONGS 2001 Power Uprate, which was approved by NRC Region IV, without the use of “Critical Questioning & Investigative Attitude” allowed SCE to increase its profits, but PROBABLY also increased the need for tube-plugging and/or shortened the remaining service life of SONGS Original Combustion Engineering Steam Generators (OSGs). Based on examination of the Westinghouse or WEC data in Tables 8-2 and 8-3 (Ref. SCE Unit 2 Return to Service Report, Enclosure 2), and SCE Unit 3 Root Cause Evaluation, DAB Safety Team concludes that SONGS Original Combustion Engineering steam generators (OSGs) were operated since 2001 power uprate at a secondary side operating pressure of 900 psi, thermal power 1729 MWt, void fraction of 96.1% and maximum interstitial velocity of 22.90 feet/sec5. This lower maximum interstitial velocity is why the OSGs did not suffer FEI (tube-to-tube wear), but only experienced tube-to-TSP wear from flow-induced random vibrations in the out-of-plane directions. SONGS Unit 3 RSGs were operating at a secondary side operating pressure of 833 psi, thermal power 1729 MWt, void fraction of 99.6% and maximum interstitial velocity of 28.30 feet/sec. That is why SONGS Unit 3 RSGs suffered FEI (unprecedented tube-to-tube wear) in the in-plane direction and experienced significant tube-to-AVB/TSP wear from excessive flow-induced random vibrations and Mitsubishi Flowering Effect in the out-of-plane directions. Based on information from anonymous RCE Root Cause Member, DAB Safety Team investigation of Unit 2 plant operational/design data, calculations and NRC AIT Report, SONGS Unit 2 RSGs were operating at a secondary side operating pressure between 892-942 psi, thermal power 1724 MWt, void fraction between of 96-98% and maximum interstitial velocity of ~ 23 feet/sec. That is why SONGS Unit 2 RSGs did not suffer FEI and experienced limited tube-to-AVB/TSP wear compared with Unit 3 from flow-induced random vibrations and Mitsubishi Flowering Effect in the out-of-plane directions. If we compare the Westinghouse data, steam flows and fluid velocities were high enough in both the OSGs and the RSGs to cause excessive out-of-plane vibrations. Therefore, we can ignore those effects, as well as errors in computer modeling (unresolved at this time) and insufficient contact forces (discussed below) on Unit 3 FEI. We can then see that the lower secondary steam pressure of 833 psi in Unit 3 caused formation of high vapor fraction aka steam dry-outs (resulting from lower steam saturation temperature) in the region of high tube-to-tube wear (FEI), and that because Unit 2 was operating at higher pressure (resulting in higher steam saturation temperature), no FEI occurred in that Unit. 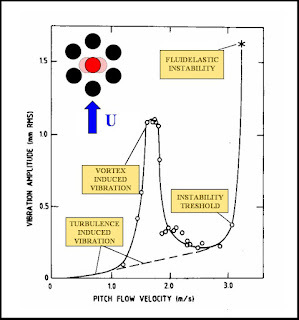 Figure 1 – Vibrations amplitude as a function of flow pitch velocity for a flexible cylinder in a rigid cluster (taken from Pettigrew et al. 1991). The cylinder is free to vibration in the cross-flow direction. 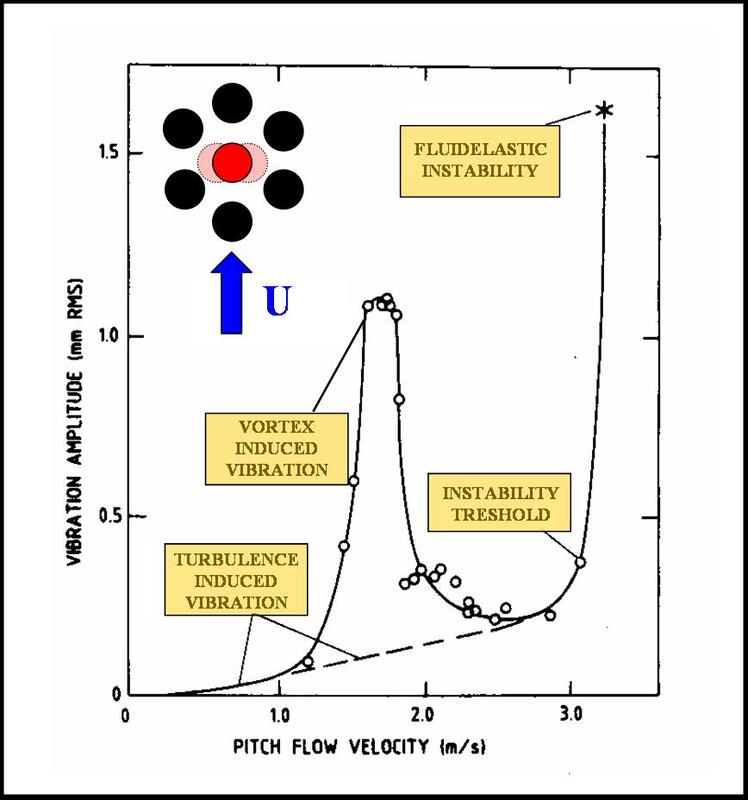 Note: SONGS AVB Structure low frequency Retainer Bars can cause potential failure of Unit 2’s preventatively non-stabilized tubes (without cable stabilizers) by turbulence-induced vibrations at pitch flow velocity as low as 3 meters/sec or 10 feet/ sec (See Figure 1). At 70 percent power, the maximum interstitial velocity projected in SONGS Return to Service Report, Enclosure 2, Table 8-3 varies between 11.91 and 13.28 feet/sec. Potential failure and ramifications of Unit 2 preventatively non-stabilized tubes (without cable stabilizers) will be discussed in a future DAB Safety Team Media Alert. 5 In the SONGS 2001 Power Uprate Application approved by NRC (ADAMS Ascension Number ML010950020), SCE stated, “The NRC has amended its regulations to allow holders of operating licenses for nuclear power plants to reduce the assumed reactor power level used in evaluations of emergency core cooling system (ECCS) performance (reference 8.1). This amendment provides licensees the option to apply a reduced uncertainty for ECCS evaluation. This action allows SONGS Units 2 and 3 to pursue an approximate 1.42% cost beneficial power uprate without compromising the margin of safety of the facility. At 100% power operation, steam generator pressures typically vary between 800 psia and 815 psia, compared to the original nominal design operating pressure of 900 psia. The lower steam generator pressure is the result of a recent reduction in the normal range of RCS operating temperatures. The uprate will result in a slight increase in steam generator pressure from current nominal 100% RTP operating conditions. Based on a projected increase of 2.3% in the secondary side fluid velocity, normal operation flow induced vibration analysis is impacted by the velocity increase. Current analysis considered that tubes with more than one consecutive inactive eggcrate were staked and plugged, and two nonconsecutive inactive eggcrates are acceptable. The Stability Ratio (SR) is defined as: SR = Veff/Vcr , where Veff= effective velocity, Vcr = critical velocity; and Values of SR < 1 are considered acceptable. The maximum stability ratios calculated are: SR = 0.64 (one eggcrate uncredited), SR = 0.66 (alternate eggcrates uncredited). Ignoring any changes in the fluid density resulting from the modification, no change in Vcr is expected. As an approximation, the modified Veff is assumed to increase by 2.3%, i.e., the same as the fluid velocity. The modified maximum SR will be 0.66 x 1.023 = 0.675 < 1 (i.e., acceptable). Therefore, the existing steam generator eggcrate evaluation will not be impacted by the uprate.” If the OSGs were operating at 815 psia from 2001 as stated in SONGS Power uprate application approved by NRC in 2001, fluid interstitial velocities would be closer to 29 feet/sec, based on data interpolated from Tables 8-2 and 8-3, rather than 22.90 feet/sec as shown in Table 8-3 for SONGS Original Combustion Engineering Steam Generators. That being the case, flow-induced random vibrations would have accelerated the tube-to-support wear, increased the tube plugging rate and shortened the remaining useful life of SONGS Original Combustion Engineering Steam Generators (OSGs). FEI probably did not happen in the OSGs because of the fixed bar vertical and bat wing support systems, higher tube clearances, and no tube lanes in the central portion of the tube bundle due to a stay cylinder (which are not present in the RSGs). · EDF: French nuclear parts manufacturing company, also owns transmission lines in France, etc. This press release will be posted on the web at this link: DAB Safety Team Documents. The DAB Safety Team: Don, Ace and a BATTERY of safety-conscious San Onofre insiders plus industry experts from around the world who wish to remain anonymous. These volunteers assist the DAB Safety Team by sharing knowledge, opinions and insight but are not responsible for the contents of the DAB Safety Team's reports. We continue to work together as a Safety Team to prepare additional DAB Safety Team Documents, which explain in detail why a SONGS restart is unsafe at any power level without a Full/Thorough/Transparent NRC 50.90 License Amendment and Evidentiary Public Hearings. For more information from The DAB Safety Team, please visit the link above. 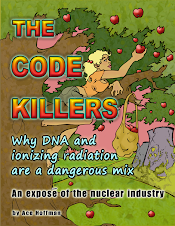 Our Mission: To prevent a Trillion Dollar Eco-Disaster like Fukushima, from happening in the USA.